The literary world has responded to the death of Ursula K. Le Guin with an acute sense of loss. In Britain's Guardian newspaper, Margaret Atwood described her as "one of the literary greats of the 20th century." Neil Gaiman called Le Guin "the deepest and smartest of writers." Le Guin, who died on Jan. 22, 2018, at the age of 88, is known for her imaginative, award-winning fantasy and science fiction. She published more than 20 novels, 10 story collections and a dozen books of poetry, as well as essays, children's books, a screenplay and more. Her novels The Left Hand of Darkness and The Dispossessed both won the Hugo and Nebula Awards — top science fiction prizes — making Le Guin the first writer to win both awards twice for best novel. In 2014, she received the National Book Foundation's Medal for Distinguished Contribution to American Letters. Le Guin was born in 1929 in Berkeley, Calif. Her father was the famous cultural anthropologist Alfred Kroeber and her mother started to write when she was in her 50s. In this conversation with Eleanor Wachtel — recorded in Portland, Ore., in 1993 — Le Guin acknowledges the influence of her father's work on her fiction, through which she examines and subverts modern notions of reality. The interview is followed by a reading of the short story Crosswords, from Le Guin's 1991 story collection, Searoad. "It was awful. I was publishing poetry in my 20s, which gave me some heart to know that at least the poems would be taken. But I did keep sending out fiction. And I did keep getting rejection slips. It was coming back because I wouldn't tailor it to any of the conventions of the time. "Much of my work is labelled fantasy or science fiction, magical realism or whatever the current label is. But there is an intangible, down-to-earth quality in my work. There's an oddness, something a little askew, in a lot of it. That's how I got typecast. When I finally broke through, my first two stories were accepted within a month of each other." "I needed to distance myself, as a young writer, from my own life. I could not write straight from the heart. I had to go all around the barn first. I needed to be in another country, or on another world or in another time. "I think science fiction is now a very large, complicated and very postmodern field. It's hard to talk about science fiction as a whole anymore. It used to be easy because it used to be kind of extrapolative. It was, 'This is what happens next,' and stuff like that. It hasn't been doing that now for years. But one thing it definitely does is provide alternatives for the imagination." "It was initially hard to write about women at the centre of my fiction. Modernist literature was very male-centred and that's my generation. I had to unlearn and relearn. But I don't feel a sense of discontinuity. I think my writing got better and richer. I am happier with the later books than I am with the earlier ones, but I don't disown any of it. All artists grow up, and I grew very slowly." 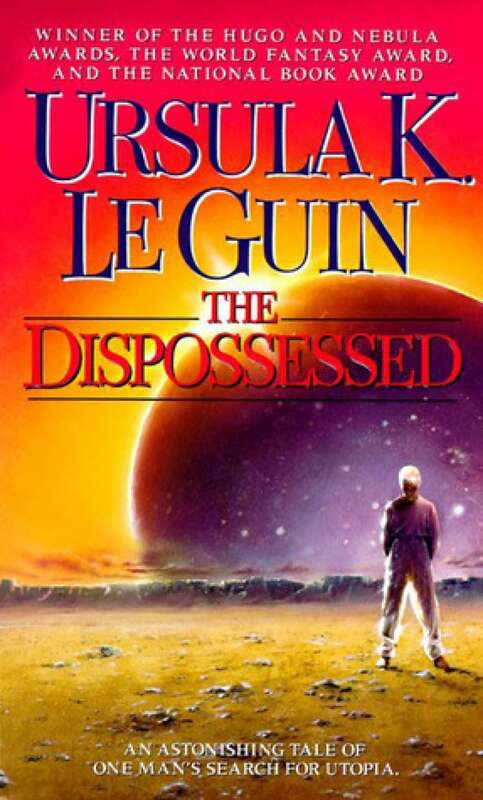 Ursula Le Guin's comments have been edited and condensed. Music to close the broadcast program: "Decorating the Dummies" composed by Philip Glass and Foday Musa Suso.